Individuals and/or organizations requesting Library permission to petition must submit their requests in writing or by email to the Deputy Director. Requests must include the name of the organization/petitioner, the reason for petitioning, the locations, dates, and times petitioning is requested, and contact information for the individual submitting the request. 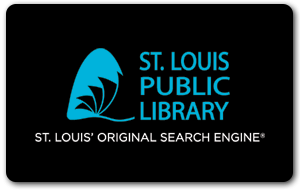 St. Louis Public Library allows the circulation of petitions outside its facilities as long as this activity does not interfere with the conduct of business or impede the free access of the public to Library buildings and resources. Specifically, individuals or organizations gathering petition signatures may stand on Library property, as long as they maintain a distance of 25 feet from entrances and/or exits, do not block or interfere with customers seeking to use the Library, or otherwise disrupt Library patrons or activities. Petitioners are not guaranteed the use of an area protected from sun, heat, or inclement weather. Signs promoting petitions may not be placed on doors or buildings and petitioners must in no way affiliate themselves with the Library, either through written publicity, signage, or verbal statements. Petitioners are required to register at the Library's Customer Service Desk prior to gathering signatures. Petitioning inside Library buildings is prohibited. Petitioners refusing to comply with this policy will be asked to leave Library property. Electioneering, including the distribution of election literature and the posting of signs, is permitted only on election days; however, any such activity is prohibited within 25 feet of polling places. (Missouri State Statute (RSMo § 115.637(18)). Noncompliance may result in a conviction for a class four election offense punishable by fine and/or imprisonment.